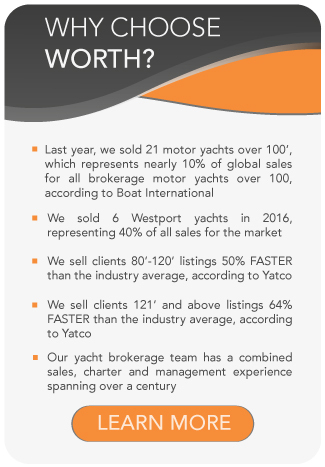 All Wally yachts for sale worldwide are listed below, scroll down to view them. Wally is an iconic Monegasque brand, both in the yachting industry and in the luxury market. A world leader in yachting innovation, Wally combines the latest technology with contemporary design, performance, comfort and style. The Wally appeal is regarded as the state-of-the-art in yachting. Wally Yachts is headquartered in Monaco, with yard facilities in Italy, constructing yachts ranging from 37ft / 11m to over 160ft / 49m in length. Wally was founded in 1994 by Italian businessman Luca Bassani, a lifelong sailor who entered the custom yacht-building field in 1991 by designing a yacht for his family. Wally initially specialized in sailboat design, however, over the years the company extended its reach by designing state-of-the art power yachts. Wally is recognized worldwide for its innovative design and cutting edge carbon fiber construction techniques. The sailing yachts are custom built from 79ft /24m upwards. The wallytender line offers three models. The power boat line includes production boats from 52ft / 16m to 80ft / 24m. The displacement line, Wallyace, of semi-custom yachts ranges from 88ft / 27m to 148ft / 45m. The custom design is dedicated to bespoke displacement yachts over 148ft/ 45m. The Wally Class is the world’s largest fleet of racing superyachts: a high-tech, high-performance, high-competitive environment offering as much fun on land as on sea. The Wally Class season stages four regattas in some of the most glamorous locations of the Mediterranean, with the successful PROAM formula where owners at the helm are assisted by the world’s greatest sailing talents from America’s Cup, Olympic, and VOR teams. Among its many world-renowned projects is the 118 WallyPower, a sleek and futuristic looking superyacht featured in the film The Island, starring Scarlett Johansson and Ewan McGregor. Another notable 118 WallyPower is Galeocerdo, built by Wally in Italy in 2003. Among its many awards, the 118 WallyPower has won the Millennium Yacht Design Award in the Layout of the Third Millennium” category. It also was the only yacht featured at the San Francisco Museum of Modern Art architecture and design exhibition in 2004/05. In 2012, Wally launched the 50.50-metre sailing superyacht Better Place. The worlds’ largest sloop build from carbon fiber composite, she was designed by Tripp Design with an interior by Wetzels Brown Partners. Wally has launched over 45 sail yachts and over 120 power boats. There are a select few yacht makers that build boats that look like absolutely nothing else on the water and Wally is one of those makers.